Magnification: 20x - 60x. 1x Spotting Scope. Tripod and soft case included. Green film coating lens - make the image clear and bright as well as reducing eye fatigue. 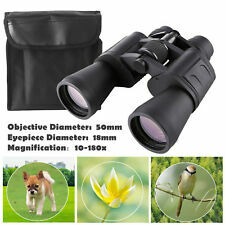 Field of View: 36-19m/1000m. 1x Lens Cleaning Cloth. Celestron Astromaster 80EQ, 70EQ, 70AZ. Bosma 70/900 80EQ etc. Using: Can be used as shoulder bag and hand bag. Size: About 98cmx18cmx18cm. Inner silk covered foam rubber padding provides protection from moderate blows, holds the shape of the bag and makes them lightweight. 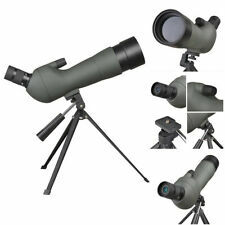 Note: does not support Celestron P Series Powerseeker 114EQ. Using: Can be used as shoulder bag and hand bag. Celestron Astromaster90EQ、90AZ etc. Using: Can be used as shoulder bag and hand bag. Suitable for 127EQ, 130EQ, 150EQ, etc. Premium Quality Products. Whatever your enquiries are, we will be there to help quickly. Pet Supplies. Inner silk covered foam rubber padding provides protection from moderate blows, holds the shape of the bag and makes them lightweight. All bags have a reflecting tape which makes them easy to find in the dark. The TSBAG105 carrying bag is, among others, suitable for The long interior divider can be fixed with a hook-and-loop fastener. The second image shows an 8" Newtonian 200/1000 without finder, the third one a beginner´s Newtonian 114/900 complete with mount and tripod. The inside can be devided by a long separator, which is fittet with Velcro. 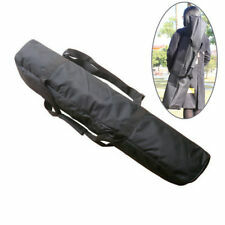 This padded all-purpose bag has many fields of application. com, then have a look by Transport Dust Protection. com, then have a look by Transport. ♦ The case is preshaped, so you can load it easier. Furthermore, you can fix even heaviest accessories with two lugs. They have a robust, water-repellent outer shell. The zipper also does not water to leak inside. Only optical tube (OTA) can be fitted in bag, with tube rings and dovetail but without finderscope. There is also a small "hump" on the bag to fit the focuser. All bags have a reflecting tape which makes them easy to find in the dark. Only optical tube (OTA) can be fitted in bag, with tube rings and dovetail but without finderscope. There is also a small "hump" on the bag for focuser. Inner silk covered foam rubber padding provides protection from moderate blows, holds the shape of the bag and makes them lightweight. The TSBAG120 carrying bag is, among others, suitable for The long interior divider can be fixed with a hook-and-loop fastener. 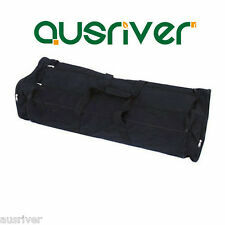 ♦ The bag has a removable interior divider which can be fixed with velcro. This transport case convinces by particularly versatile internal dividers. You can fix the internal dividers with hook-and-loop fasteners. They have a robust, water-repellent outer shell. The zipper also does not water to leak inside. 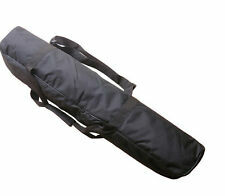 Geoptik Carrying Bag for small refractors up to 500 mm focal length. ♦ The bag is padded, water-repellent and produced to a high quality standard - Made in Italy! ♦ Gewicht: 0,65 kg. ♦ TS-Optics 10" Cassegrain - the finder has to be removed. They have a robust, water-repellent outer shell. The zipper also does not water to leak inside. ♦ TS-Optics 10" RC (truss design and solid design) - from the truss design the finder has to be removed. 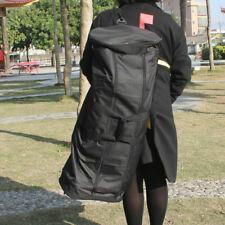 The TSBAG110 carrying bag is, among others, suitable for The bags are of a high quality for a long life-span. ♦ Perfect protection for transport and storing. com, then have a look by Transport. Geoptik carrying cases have a very ergonomic design, allowing you to handle them easily. General Informations about Geoptik Quilt Bags The bags are of a high quality for a long life-span. com, then have a look by Transport. Geoptik Quilt Bag for Newtons to 8" aperture - 1200mm. Geoptik carrying cases have a very ergonomic design, allowing you to handle them easily. General Informations about Geoptik Quilt Bags The bags are of a high quality for a long life-span. Faster and therefore shorter Newtonians can be transported with the bag as well. The specific feature of the bag is its shape. Thus the Newtonian is fixed in the bag and cannot move anymore. padded Transport Bag for 10" Newtonians and Dobsonians. General Informations about Geoptik Quilt Bags The bags are of a high quality for a long life-span.